Made in Germany - 4 x 10 cab with high end attenuator! 300 at 8 Ohm - On Castors! 300 watt bass cabinet. In excellent condition. 410 cab 400W at 8 ohms, with locking wheels, heavy duty handles, Horn not working. Made in Australia - 4 x 10 - 1000 Watt RMS 2000 Watt Peak 8 Ohm - With Horn level control, speakon inputs. 1000 watt 4x10" @ 8Ω. Eminence Delta speakers! 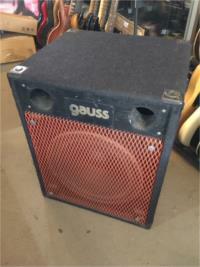 600 Watt 2 x 12 Cabinet with Horn! (And more importantly includes a Horn Attenuator so you can turn it off!) 8 ohms - On Castors! Neo-Dymium With Good quality padded cover! suit 15 inch bass cab and head. Quad Box 4x12, Eminence speakers, 400 watts, 4 Ohms. 2 x 10" 200 watts 8 ohms. 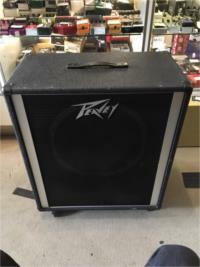 1980's Made in Australia - 2 x 10" Bass Cab loaded with Lorantz Drivers - Each approx 75~100 Watts handling to give a total capacity of 150~200 Watts at 8 ohms impedance. 2x12" 8Ω cabinet fitted with 2 x AVE Neo 12'' speakers ( new , tested ) . 600w RMS each , 1200 W RMS cab. 350 watt 2X10" Bass Cabinet @ 8Ω. Made USA, 8 ohms, 150 Watt 1X15" Black Widow Speaker reconed recently. 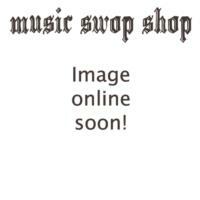 Enter your email address below to get alerts for Bass cabinets.